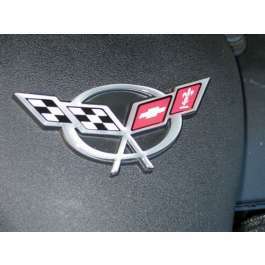 Give your C5 Corvette engine bay a touch of style with this Air Bridge Domed Decal from Corvette Mods. 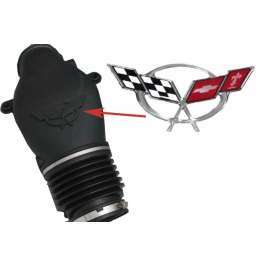 This 3-dimensional engine bay add-on accessory can easily set you apart from all the rest. This is a self-adhesive domed vinyl and can be placed on the air bridge. It is UV and heat resistant to keep it from fading or peeling off like other flat vinyl emblems. It simply fits on top of the existing Corvette logo on your air bridge as a no-fuss installation. Please use the drop-down menu above to choose your color selection. Q: Is the blue border on this emblem a match to the blue oil cap you offer? Thanks Ray.